Boasting the best of Florida living this visionary new home to be located at W Royal Flamingo Dr. on Bird Key has been designed to take full advantage of the Florida lifestyle, blurring line between outdoors and indoors. Taking design ques from the Caribbean-style island homes, this amazing new home offers large open spaces that seamlessly transition to a beautifully landscaped outdoor living space with a lush tropical atmosphere. Despite the large open rooms the well-designed floor plan residents will find an elegant yet highly efficient design that is great for day to day living as well as entertaining guests. 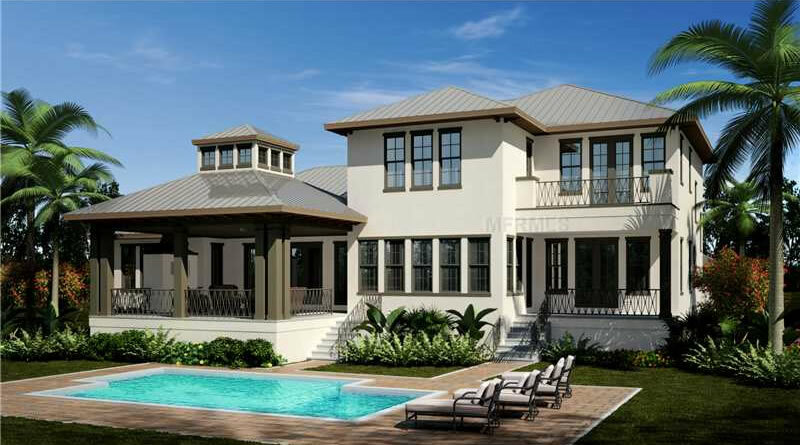 Murray Homes, Sarasota’s premier waterfront builder will outfit this magnificent new home with the finest materials available, and an uncompromising attention to detail. The beautifully designed outdoor living space opens up to a bayside swimming pool and dock offering residents direct access to Sarasota bay, and the Gulf of Mexico via Big Pass or New Pass. This entry was posted in Architecture and Design, Bird Key, New Homes by admin. Bookmark the permalink.